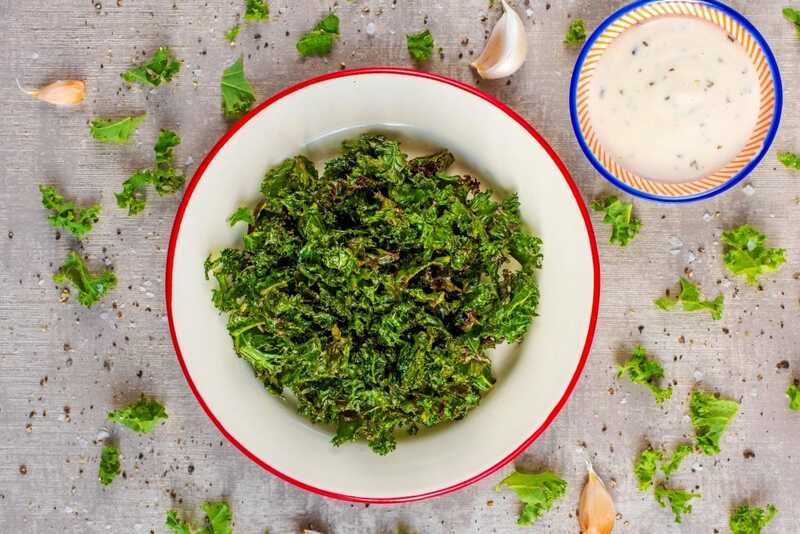 These Kale Crisps are a quick, easy, healthy and tasty snack. Just 15 minutes in the oven and only three ingredients. Add the oil and seasoning to the Kale and mix well. Get creative with the seasoning. You could go spicy, Italian or recreate your favourite salt and vinegar crisps. These are best eaten straight from the oven so they are still nice and crispy. Don't forget to remove the kale stalks, as they won't get crispy. 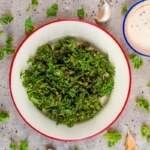 Try using green and purple kale to give it a mix of colour. Make sure the kale is fully dried after washing, as water on it and mean the kale steams, rather then getting crispy. Don't be tempted to use too much oil, as it makes them go soggy. Spread the kale in a single layer on a baking sheet. If they are all piled on top of each other they won't cook evenly or get very crispy.